At the age of 1,5 Ksenia was diagnosed with cerebral palsy, spastic diplegia and lower paraparesis. Unfortunately, by the age of 8 the girl almost entirely lost her ability to walk. Many doctors in Russia, which Ksenya’s mother was addressing, were telling her that her daughter would stay the rest of her life on a wheelchair. Thanks to the charitable foundation “Neopalimaya Kupina” and its director Mrs. Irina Chuvikina, Ksenya and her mom were able to come to Greece for treatment. A detailed examination by the paediatric orthopaedic surgeon Nikolaos Rigopoulos indicated the necessity of surgery. 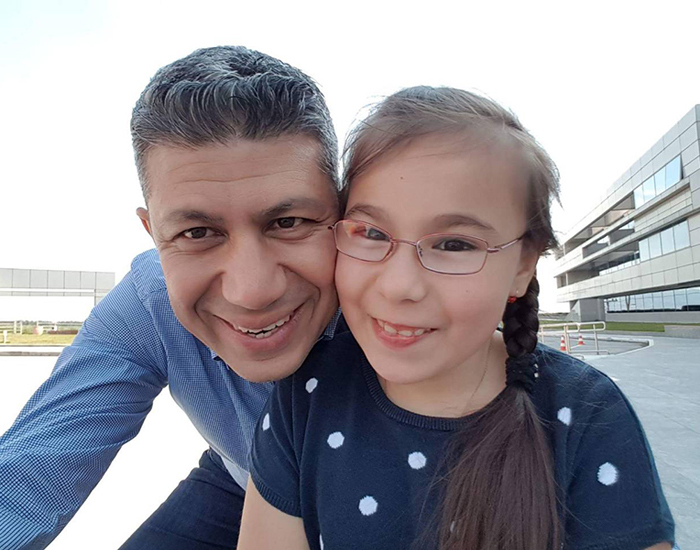 In March 2017 Ksenia underwent surgery to have bilateral release of gracilis muscle, lengthening of intravascular muscles and bilateral lengthening of Achilles tendon operation. Thanks to this operation, Ksenya got a chance to learn to walk without support again. In order to maintain the success of the operation, rehabilitation treatment was assigned to the girl (physiotherapy, occupational therapy, speech therapy and hydrotherapy) at the Medical and rehabilitation centre “Anagennisi” in Thessaloniki. The therapists’ goal was to change her way and train her to walk correctly. Because of having trained with specialised instructors, Ksenya had a big improvement of coordination, balance and muscle dynamics. After a few months Ksenya and her mother came for a second rehabilitation programme in order to preserve and improve her results. They are planning to return to Greece again.